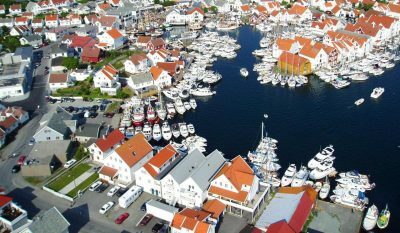 About this sound Skudeneshavn (also known as Skudeneshamn or Skudenes, the name of the parish in which it is located) is a village on the southernmost tip of the island of Karmøy in Norway. It is part of the traditional district of Haugaland. It has 5,000 inhabitants and is part of the municipality of Karmøy in the county of Rogaland. Skudeneshavn is one of the smaller towns in Norway; Kolvereid with 1,470 inhabitants is the smallest.In 1990, it won second prize in NORTRA’s competition for Norway’s Best Preserved Small Town. 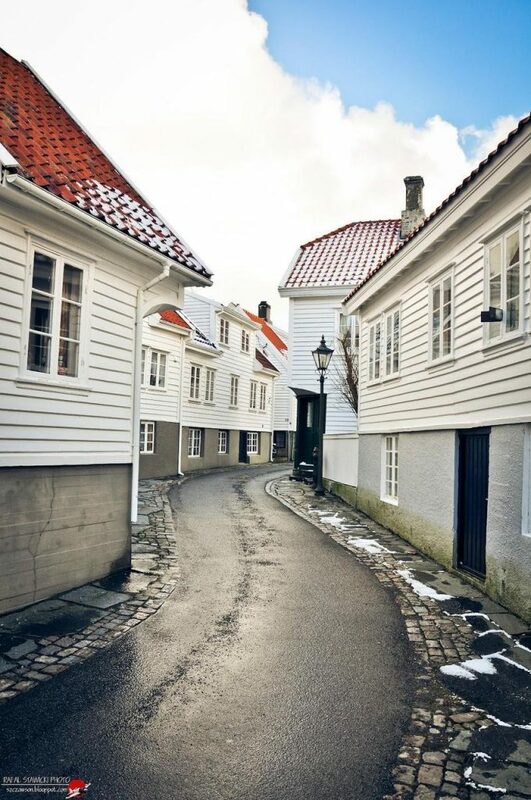 Skudeneshavn’s old town (Gamle Skudeneshavn), consisting of 225 wooden houses, is regarded as one of the best preserved in Europe. In 2004, it was voted Norway’s “Summer Town” by listeners to NRK Radio’s Reiseradioen programme. Each year the Skudeneshavn International Literature and Culture festival (Norwegian: Skudeneshavn Internasjonale Litteratur- og Kulturfestival) (SILK festival) is held on the first weekend of November.